What Happens to Our Eyes as We Get Older? As we age, our bodies become weaker. Our skin loses its elasticity, knees become wobbly, and our vision may diminish. All these come naturally with age, it is up to us how we take care of our bodies. Our vision is one of the most vital among our sensory organs. With our eyes, we can easily navigate and be safe from possible dangers around us. Blurry vision and difficulty in focusing on nearby objects are symptoms of Presbyopia. The inability to read print or see details in objects close-at-hand are a normal, age-related condition. It usually begins to affect individuals as early as 40 years but can be experienced by younger individuals who have underlying conditions. There is no cure however, surgical interventions are available and can last for a period of time. Because there is no cure to Presbyopia, people experiencing this may just disregard this condition. Experts say, on an onset of this condition, individuals must get a routine eye exam and have this done regularly. Once you have been diagnosed with Presbyopia, your doctor will give you options on how to treat it and one of the treatments is wearing appropriate glasses. Multifocal lenses. These eyeglass lenses contain two or more lens power to help you see in all distances. These are usually recommended for individuals who lost their ability to naturally shift the focus of their eyes due to presbyopia and age. Progressive lenses. If you are over 40, your doctor may require you to wear progressive lenses, which are effective on bringing back your near and far visions. Progressive lenses are no-line multifocal eyeglass lenses that look exactly the same as single vision lenses. The power of progressive lenses changes gradually making it easier to see at any distance. Bifocal and trifocal lenses. These lenses provide wider lens areas for reading and computer work than progressive lenses. Bifocal lenses have two lens power while trifocal lenses have three. The power of these lenses are divided into segments which are visible and help in reducing the amount of effort in focusing to see objects at a near distance. Another age-related eye condition is called cataracts. Cataracts are the clouding of the lens and can affect vision on either or both eyes. Most cataracts are related to aging and are very common in older people. It is caused by an advanced stage of presbyopia, and a person suffering this condition may experience frequent changes of prescription eyeglasses or contact lenses. Cataract is an age-related eye disease and is very commonly seen in seniors. Luckily, modern cataract surgery is extremely safe and so effective that 100 percent of vision lost to cataract formation usually is restored. Your doctor may recommend the following eye procedures to bring back your vision from presbyopia and cataracts. Corneal Inlays. These are tiny lenses or other optical devices that are inserted into the cornea to improve reading vision. 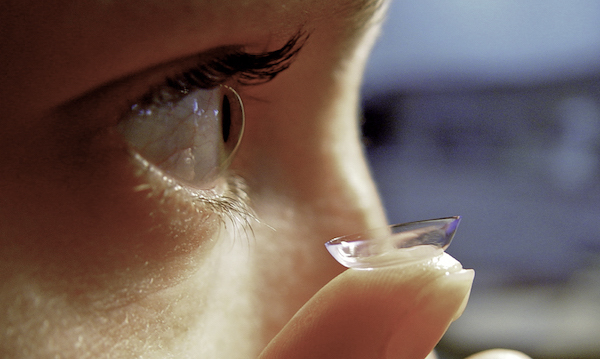 Some of these devices resemble very small contact lenses. Monovision. Vision correction method for those with presbyopia in which one eye is corrected for near vision and the other for far, either through contact lenses or refractive surgery. Monovision eliminates the need for reading glasses but does have some drawbacks, including decreased depth perception. Conductive Keratoplasty. Conductive keratoplasty (CK) is a non-laser refractive eye surgery designed to correct mild hyperopia and help people who are middle-aged and older reduce their need for reading glasses after they become presbyopic. Refractive lens exchange (RLE). Also called lens replacement surgery or clear lens extraction, may be a better option than LASIK, PRK or phakic IOL refractive surgery for people with presbyopia and high hyperopia (farsightedness). Refractive lens exchange (RLE) replaces your eye’s clear natural lens with an artificial intraocular lens (IOL) to correct your refractive error and achieve sharper focus, reducing your need for reading glasses or bifocals. There are many age-related eye problems. Avoiding or delaying their onset happens by taking good care of our eyes, getting eye exams regularly and eating a healthy diet rich in omega 3 and antioxidants. Wearing prescription eyeglasses can help improve your eye’s health and condition.